The weakest Fnatic and Team Solomid League of Legends teams in years just knocked their opponents out of the spring playoffs and advanced to the European and North American semifinals, respectively. Given the history of the EU LCS, maybe that outcome was inevitable. Fnatic have competed in every European LCS final for three straight years, basically since the LCS was established. Fnatic have always been a team whose best performances come at the biggest tournaments, with playoff results that sometimes belies uneven regular-season results. That didn’t seem likely to happen with this Fnatic team, however. Their .500 record in the spring seemed like a pretty accurate measure of a team with serious weaknesses in top and jungle following the departure of Huni and Reignover, and a lack of flexibility compared to rising teams like G2, H2K, and their opponent today, Vitality. Moreover, Fnatic had performed terribly head-to-head against Vitality during the regular season. Nevertheless, Fnatic beat Vitality in classic fashion: crushing them in team fights and keeping them off-balance as Fnatic applied steady objective pressure. More star performances from midlaner Febiven helped put Fnatic over the top and back into a familiar position: contention for the EU LCS spring championship. Team SoloMid’s win over Cloud9 was not quite as shocking, because Cloud9 have not looked as consistently superior to TSM this season. Still, after enduring a pretty humiliating defeat in Game 1, Team SoloMid finally seemed to turn into a team that is at least equal to the sum of its parts. Still, it’s striking just how often this pattern repeats in pro League of Legends. 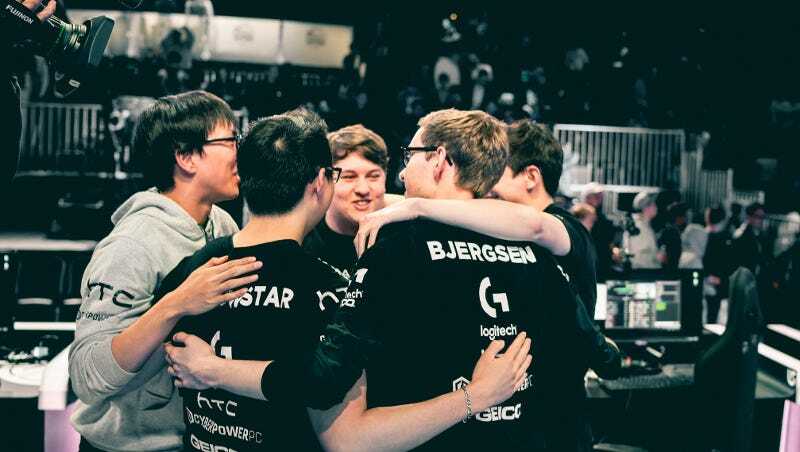 TSM and Fnatic have been wearing targets on their back for years. Every season seems to promise the end of their time at the top, the start of their slide into overdue mediocrity. This year, with both teams stuck with 9-9 records for the spring season, it seemed like the entropy had finally caught up with them and they were at last perfectly average teams. Whether it’s because both teams are used to playoff pressure, or because the best-of-five playoff format played to their strengths as players and organizations, today marked yet another triumph of the two region-defining powerhouses. Whatever changes in League of Legends, TSM and Fnatic always seem to be among the very best when it’s time for the playoffs.